Angelo is as sweet as can be! 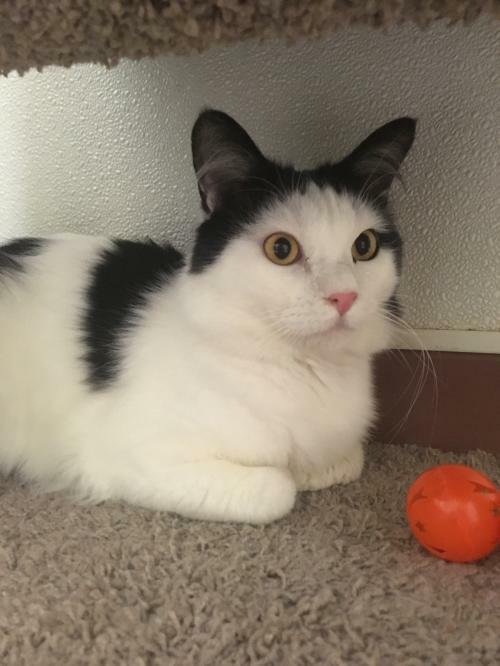 This fluffy, 1 year old male cat is a little shy at first, but all it takes is a couple chin scratches and he turns into putty in your hands! 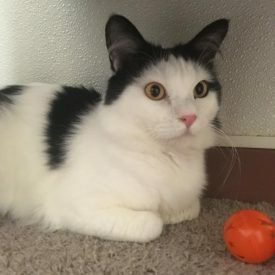 This sweet boy is FIV+, but with a little extra attention he can still live a long, happy life. Angelo is looking for a quiet, indoor home with lots of pets and purrs, preferably with no other pets, or with other FIV+ cats.